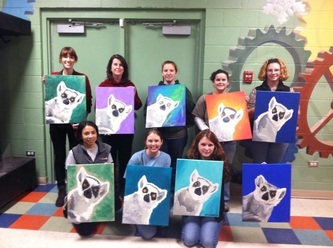 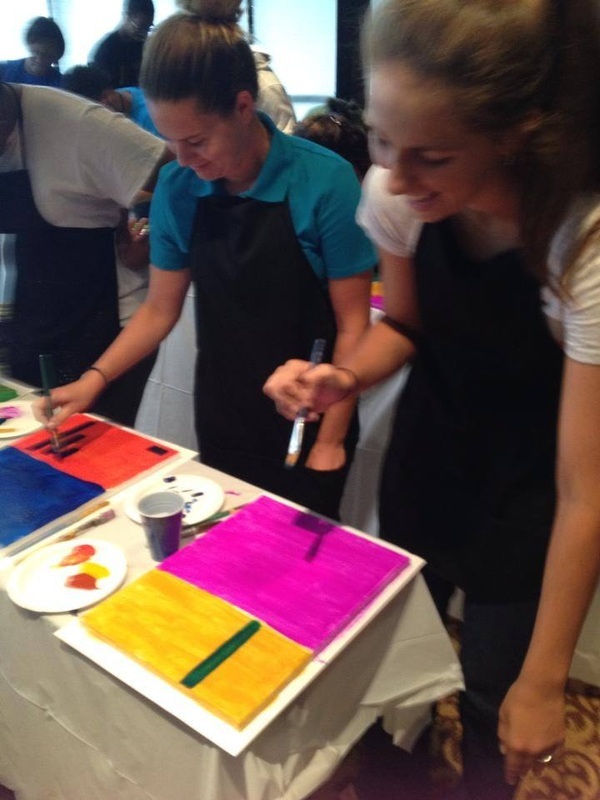 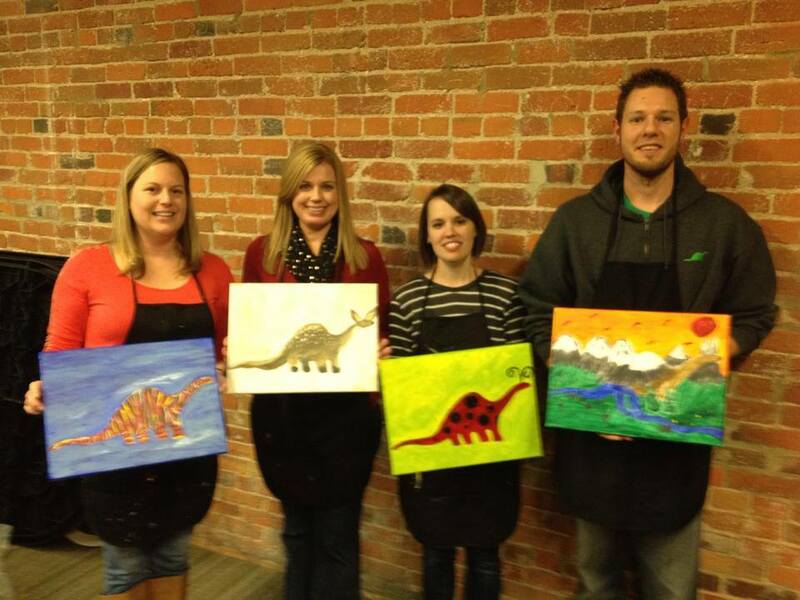 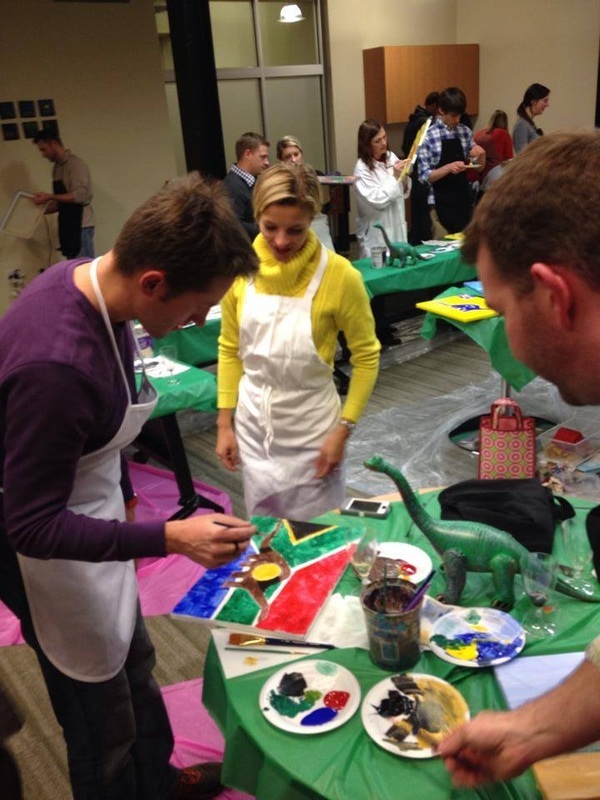 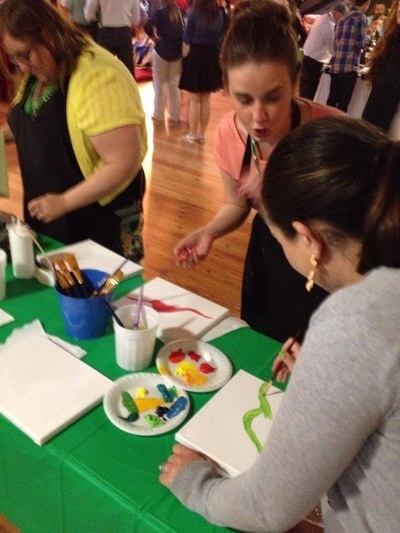 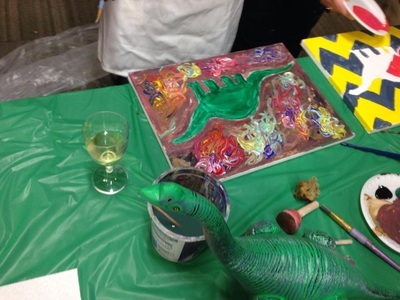 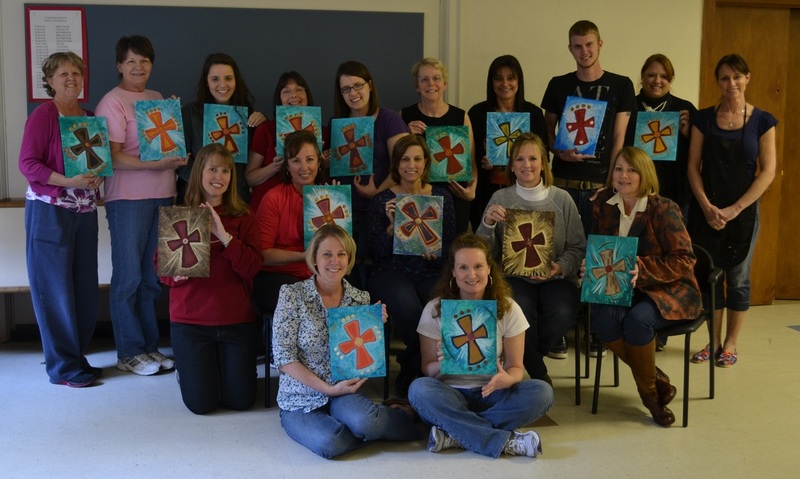 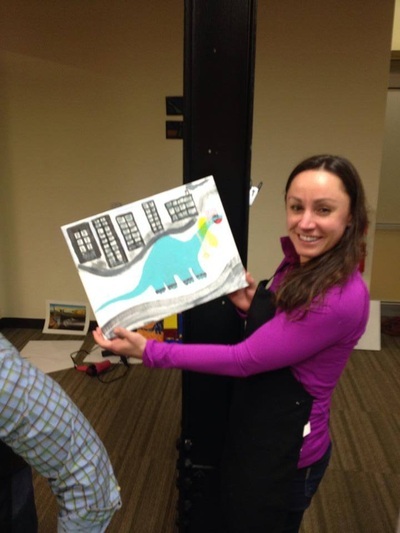 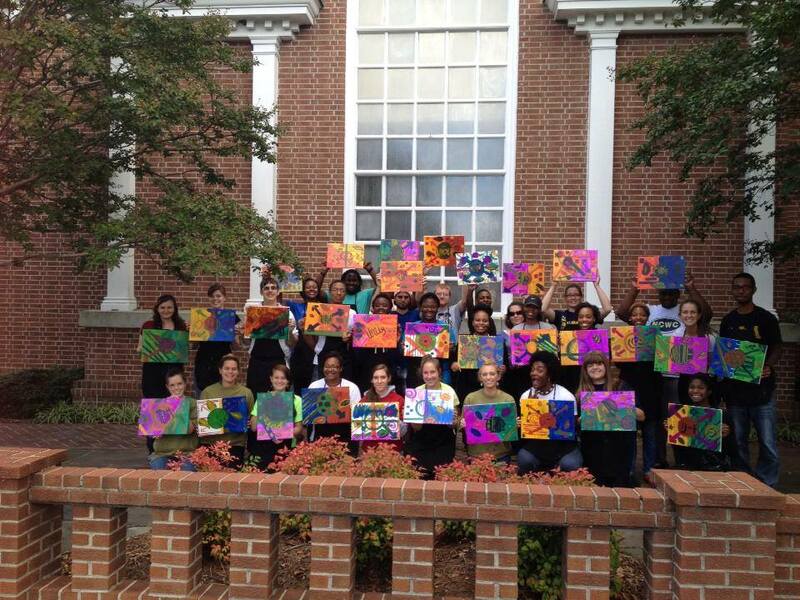 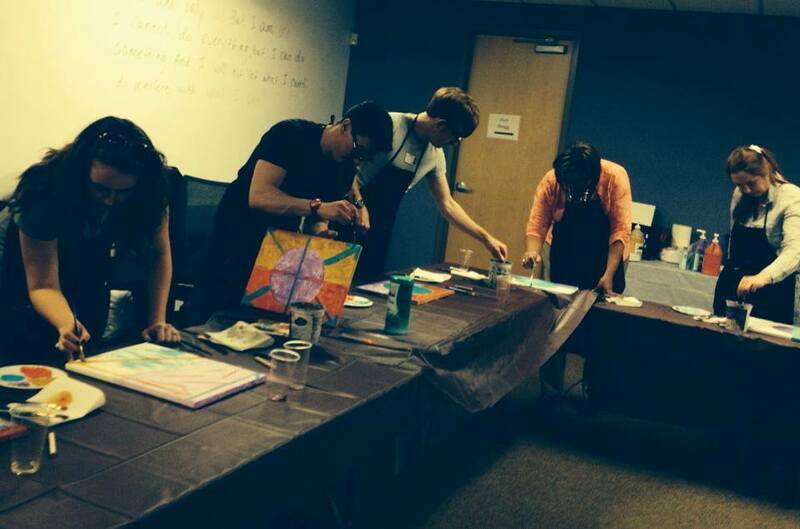 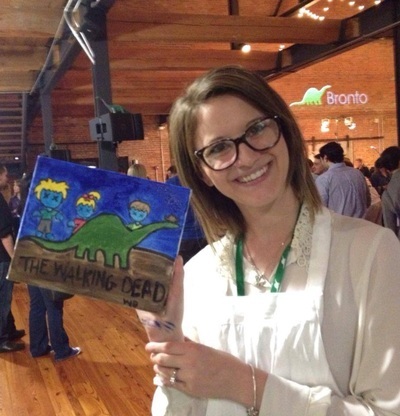 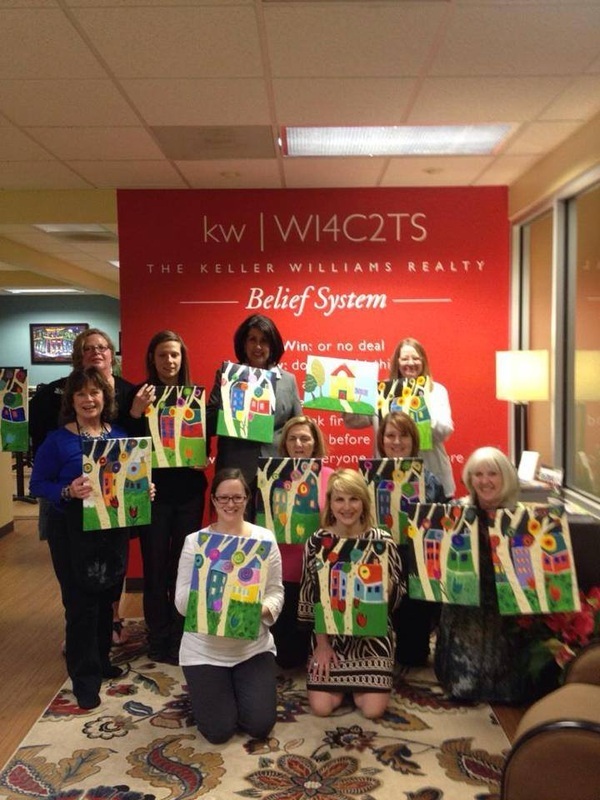 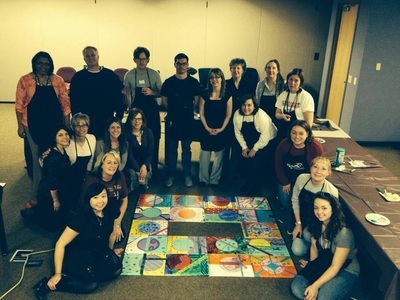 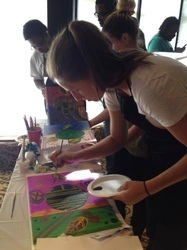 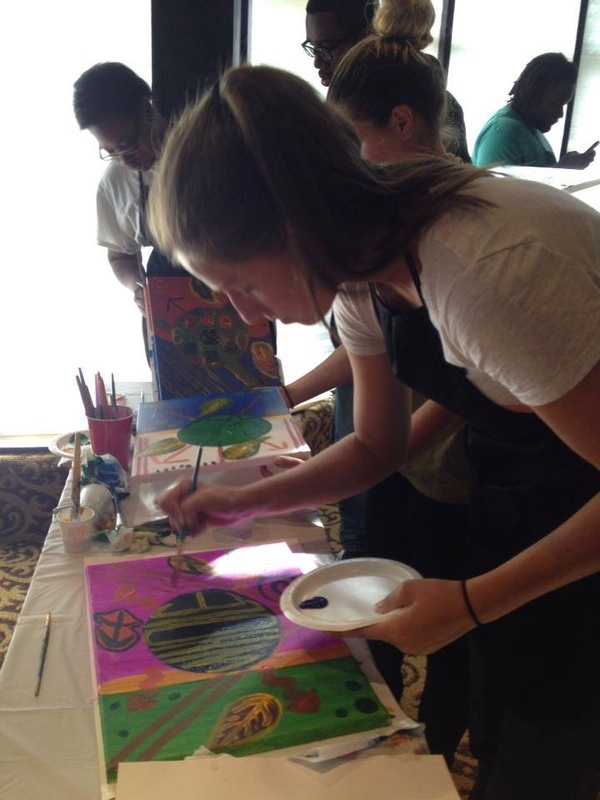 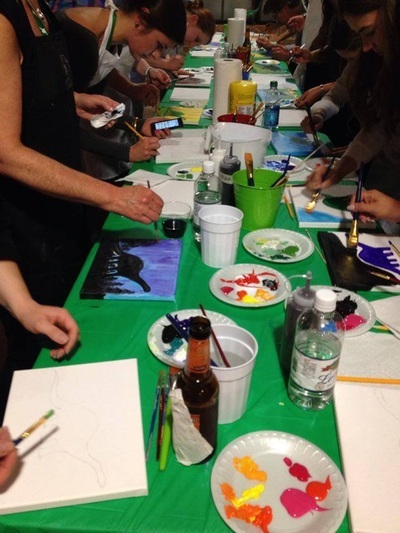 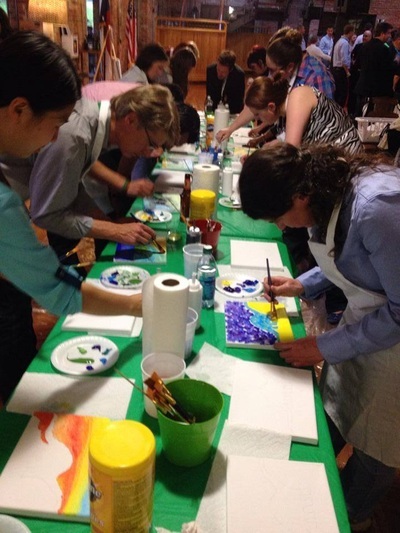 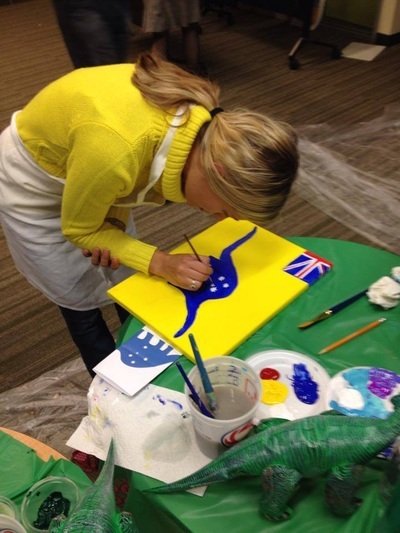 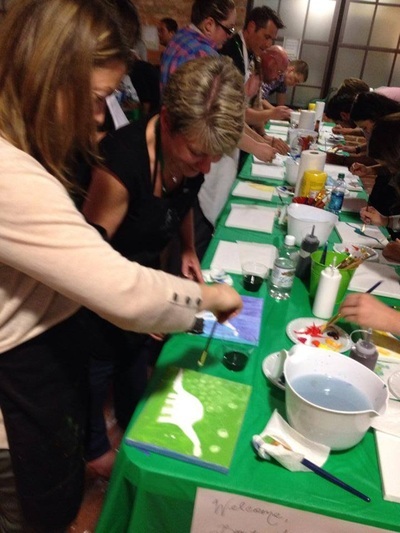 Bottles & Brushes can enhance your team building and retreats by offering a variety of creative painting options (which don't have to be on canvas) to bring people together in ways that conventional meetings will not do. 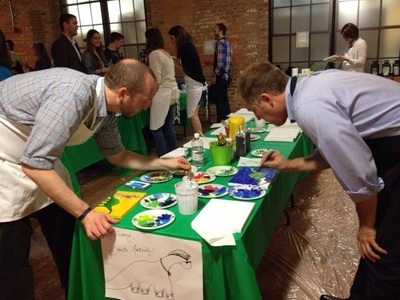 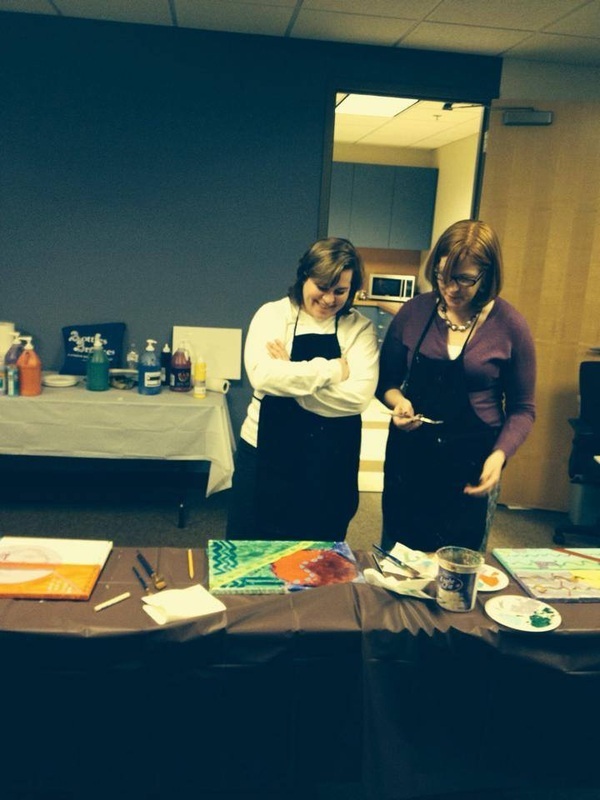 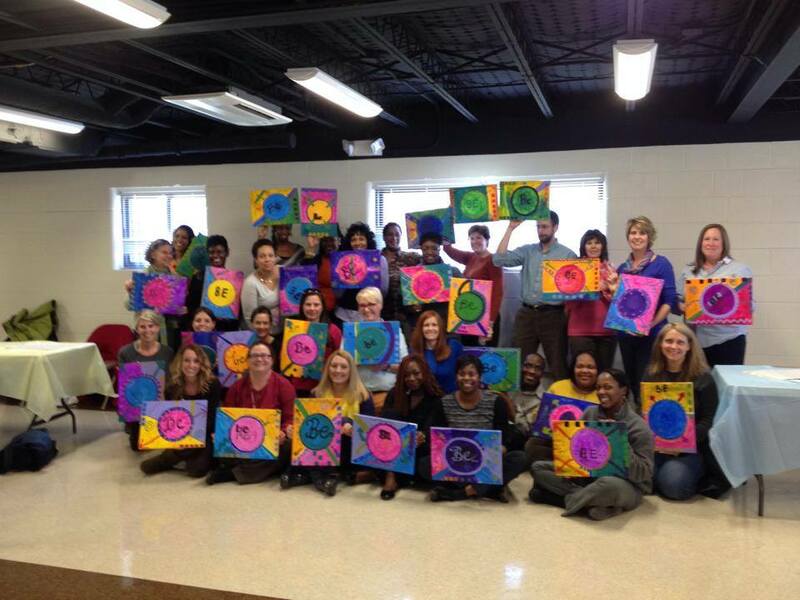 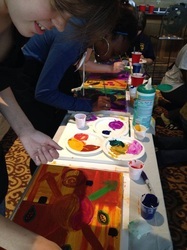 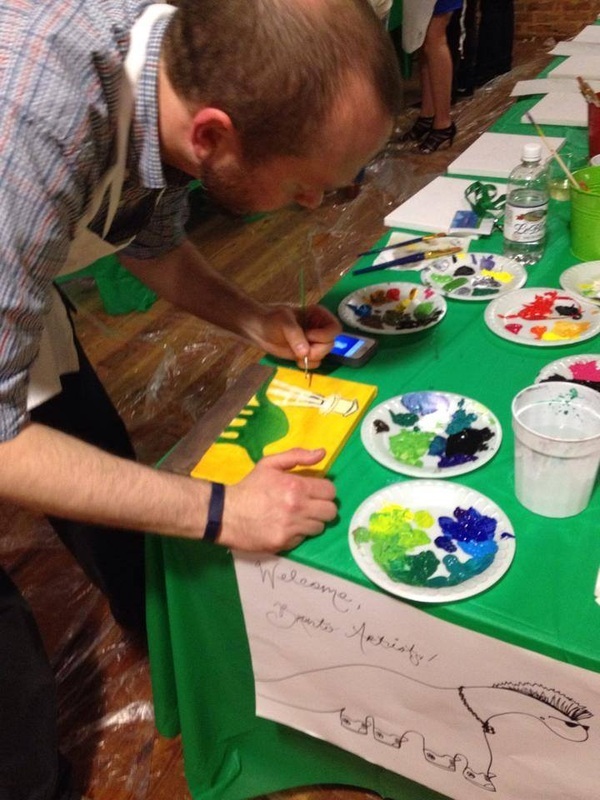 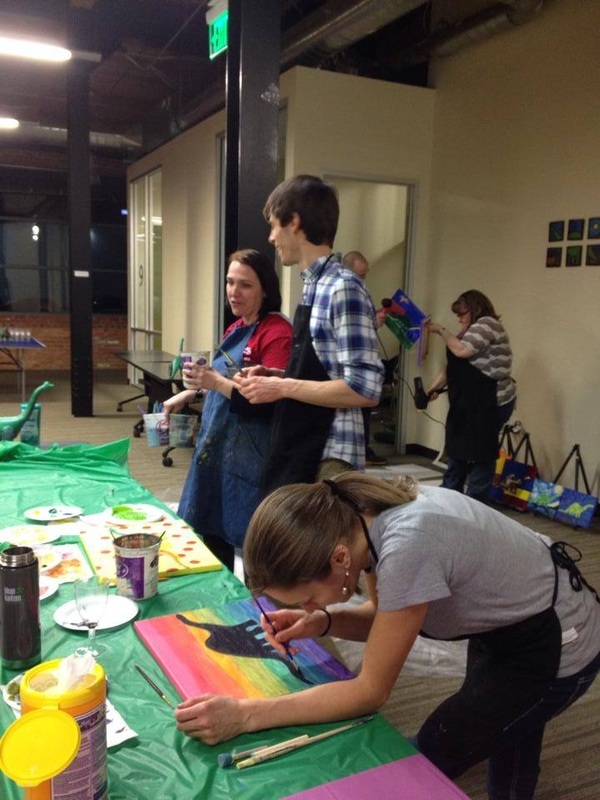 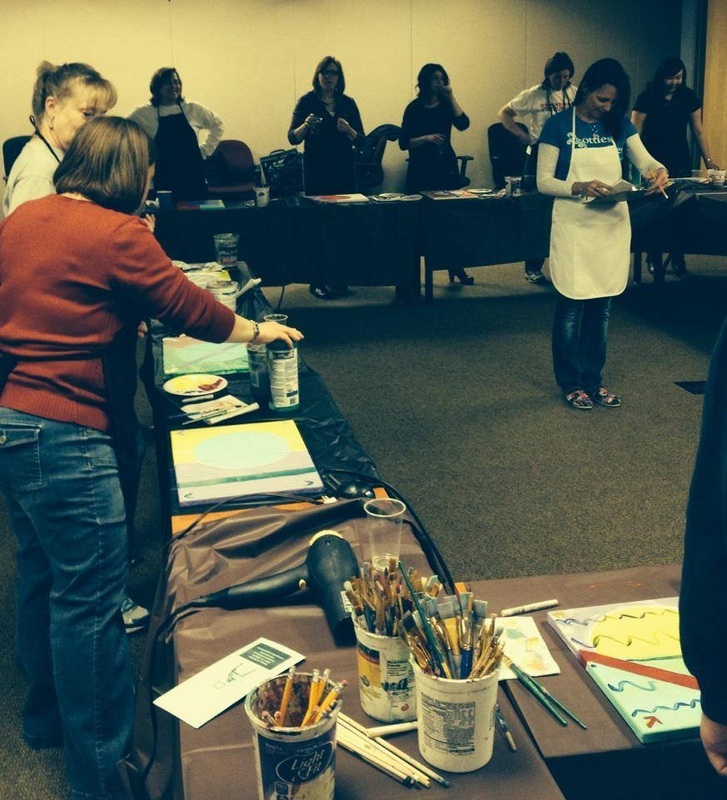 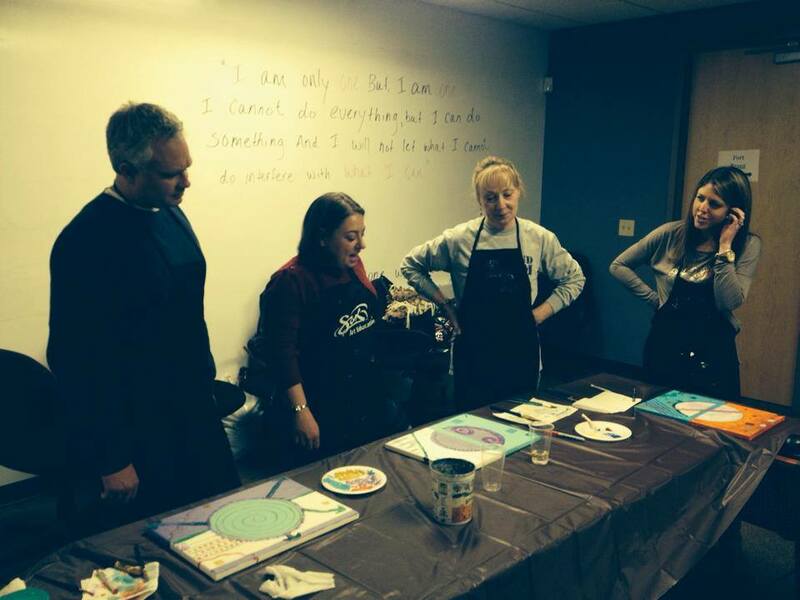 Through these hands-on interactive activities with paint and brushes, people begin to reveal their leadership styles and personalities, discovering their artistic bent and that of their peers, with surprising results. 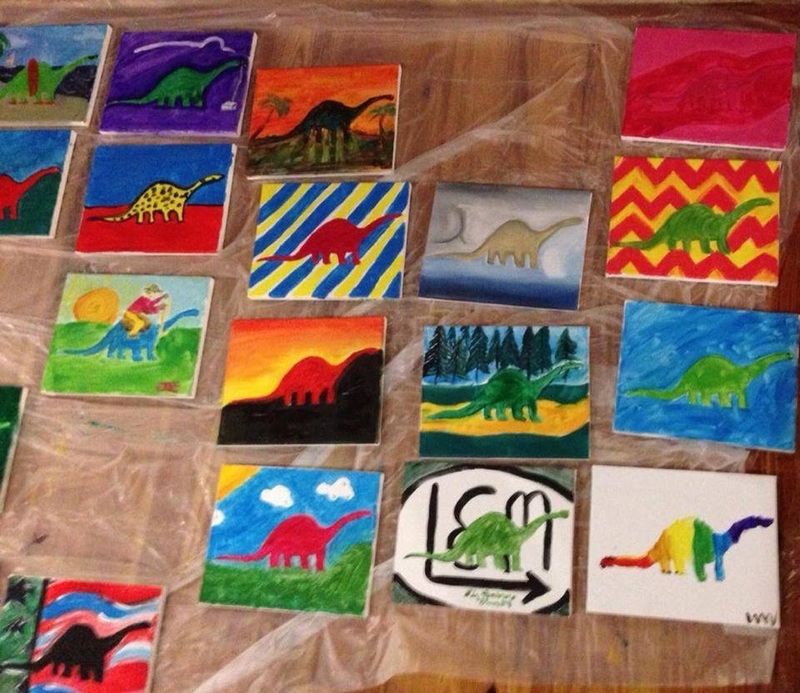 It's amazing what will emerge with a couple of hours and a blank canvas. 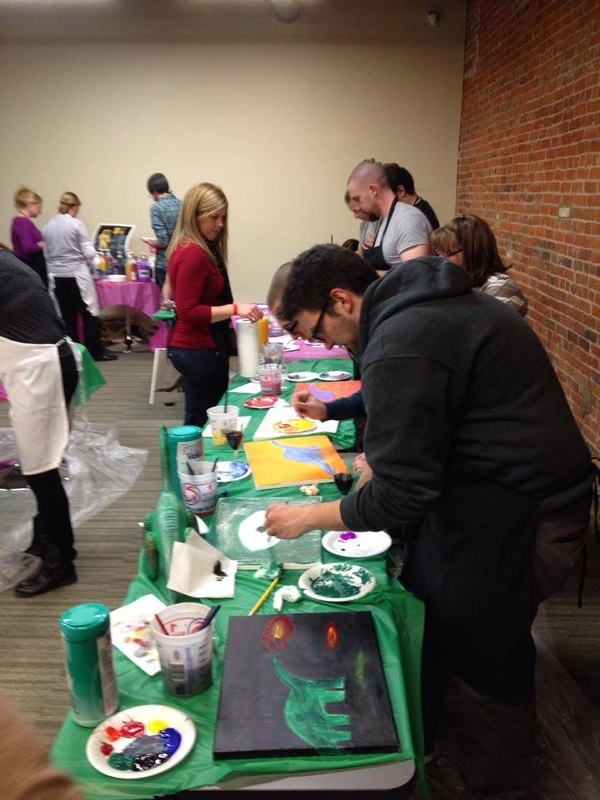 Artistic team building exercises are designed to offer a intimate and meaningful experience in a relaxed and non-threatening creative environment where people are comfortable taking risks. 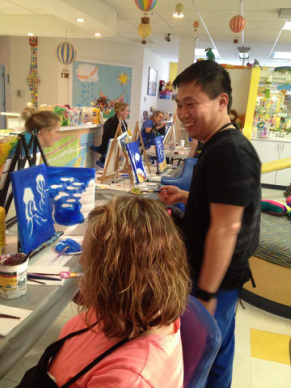 That's where real growth occurs. 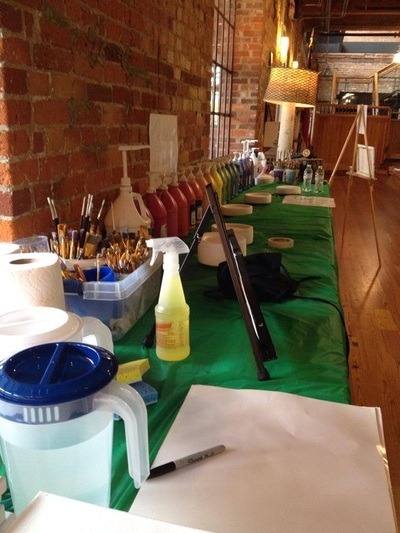 Bottles & Brushes can be mobile and come to you, wherever that special event may be, for 30 people or up to 250 people, we can accommodate you! 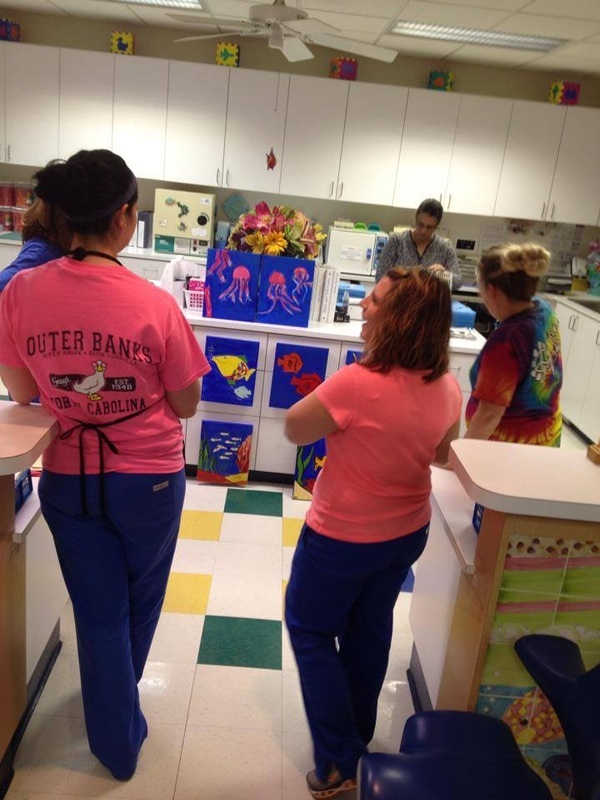 The artistic endeavor is carefully tailored to your organization's needs to enhance your program and to encourage engagement and growth of the individual as well as the collective group.